As a Texas Plavix Side Effect attorney, I am providing this update regarding the current status of Plavix injury lawsuits and a request for consolidation in New Jersey State Courts. Bristol Myers Squibb Co. and Sanofi-Aventis pharmaceutical companies are calling for centralization of all Plavix lawsuits filed in New Jersey state court, pointing to a growing number of complaints filed by users who allege that the drug makers fraudulently promoted their popular blood thinner and failed to adequately warn about the risk of potentially life-threatening side effects of Plavix. 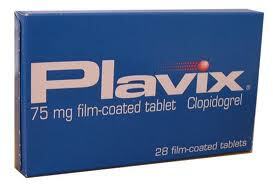 Plavix (clopidogrel) is a antiplatelet agent that prevents blood platelets from sticking together to form clots. It is prescribed to prevent heart attacks, strokes and blood clotting (thrombosis) when drug coated stents are used in patients with coronary arteriosclerosis. More than 40 people have filed a Plavix lawsuit in courts throughout the United States, including at least five in Atlantic County, New Jersey. Many cases are likely to be filed in New Jersey state court, where Sanofi-Aventis is headquartered and Bristol Myers Squibb has five facilities. All of the complaints filed so far allege that the makers of Plavix promoted the expensive medication as a safer alternative to aspirin, although it may actually provide no benefit over taking aspirin. Plaintiffs allege that they suffered injuries as a result of their unnecessary use of Plavix, such as gastrointestinal bleeding, heart attacks, strokes and a blood disorder known as TTP, or thrombotic thrombocytopenic purpora. Plaintiffs say that the two companies repeatedly overstated the safety and effectiveness of Plavix, and point out that the companies were repeatedly cited by the FDA for illegal, off-label promotions and for ads and campaigns that touted its benefits over aspirin. The two companies say that the lawsuits and their claims are numerous and similar enough to warrant mass tort designation in New Jersey, and have asked that the caseload be transferred to Bergen County, due to its current low mass tort caseload. A mass tort designation would centralize all cases filed in New Jersey state court before one judge for pretrial proceedings in order to avoid duplicate discovery and conflicting rulings. The claims would remain individual lawsuits for purposes of determining damages and each claim would be judged independently at trial. The commonly used combination of Plavix and aspirin may expose patients to a higher risk of bleeding than previously believed, according to the findings of a new study. Researchers from the U.S. Centers for Disease Control and Prevention (CDC) have released the results of a study on the side effects of Plavix and aspirin when combined to help fight blood clots (DAT Dual Antiplatlet Therapy). The study was published in the Archives of Internal Medicine, and determines that there is a clinically significant risk of hemorrhaging when the drugs are used together that doctors and patients need to recognize and anticipate. CDC researchers compared the rate of incidents from acute hemorrhaging from DAT to those related to another antiplatelet drug called Warfarin. They found an estimated 7,654 emergency department visits every year for hemorrhage-related adverse events from DAT, compared to 60,575 emergency department visits from Warfarin bleeding incidents. Once the researchers adjusted for the rate of prescriptions they found that the rate of emergency department visits due to acute hemorrhages from Plavix and aspirin combined was 1.2 per 1,000 outpatient prescription visits, compared to 2.5 per 1,000 for Warfarin. Information and commentary provided by Dallas Fort Worth Personal Injury Attorney Dr Shezad Malik. The Dr Shezad Malik Law Firm can be contacted in Dallas toll free at 888-210-9693. If you or a loved one has been injured from PLAVIX medication, please fill out our contact card for a free consultation.